By the end of 2014, doctors in the U.S. will have diagnosed more than 232,000 women and 2,300 men in the U.S. with breast cancer. 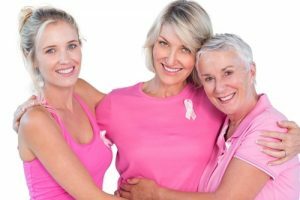 Because October is Breast Cancer Awareness Month, this is an opportune time to discuss how pivotal genetic testing can be if you’ve been newly diagnosed with the malignancy. After you’re diagnosed, you may feel like you should begin treatment as soon as you can, and it’s easy to listen to the doctors who are encouraging you to do so. However, genetic testing can be a game changer for both your treatment plan and the health of your family in the future. Furthermore, waiting on treatment while you undergo such tests is unlikely to negatively impact your treatment outcome. There are certain cancers that have strong genetic ties and run in families. Up to 25 percent of hereditary breast cancers are caused by mutations in genes known as BRCA1 and BRCA2. Normal versions of these genes typically suppress the formation of tumors, but mutated copies of BRCA genes can potentially allow malignancies to develop. The much higher risk related to a BRCA mutation applies not only to breast cancer but also to ovarian cancer risk. Many people who have been diagnosed with cancer would benefit from genetic testing for several reasons. This is particularly true for patients in high-risk groups due to their family history. Genetic testing results may give you options that lead to a more effective treatment. Different gene mutations will respond to treatments in different ways, and genetic testing can be used to make a more informed decision about what the best first-line treatment would be. If you already had first-line treatment and you didn’t respond well, genetic testing can also be used to provide a more scientific basis for deciding what treatment option should be considered next. We worked with a woman with early-stage breast cancer who was on the borderline of requiring chemotherapy after her lumpectomy and radiation. She chose to have oncotype genetic testing, and results showed her level of risk for recurrent cancer was low. This prompted her to choose not to have chemotherapy, and affirmed her oncologist’s original recommendation. Without this extra information, she may have opted for chemotherapy and potentially experienced long-term side effects she wanted to avoid. The additional information gave her a scientific basis for deciding to forego chemotherapy. A different result, predicting a high risk of recurrence, might have convinced her to move forward with chemotherapy since her risk of recurrence would have been greater. Genetic testing assessing whether you carry BRCA mutations can have an impact on your daughters’ or granddaughters’ potential risk. A positive test gives them the ability to screen more aggressively at an earlier age than normally recommended. Mutated BRCA genes are associated with an 80 percent risk of developing breast cancer, as well as a 75 percent risk of developing ovarian cancer. If you have a strong family history, knowing whether you have these mutations will help your family understand if they are at risk as well. From there, they can work with their physicians to come up with a suitable, proactive approach to monitoring their health. Genetic testing for some cancers may also help you pursue clinical trials evaluating new drugs, if that’s the route you want to take. Knowing your genetic profile will help determine which trials are best suited for you. For both your sake and the sake of you family, look into the benefits of genetic testing. If you need help, a family health advisor can walk you through how the tests work, where you can receive them and what to do with the answers.